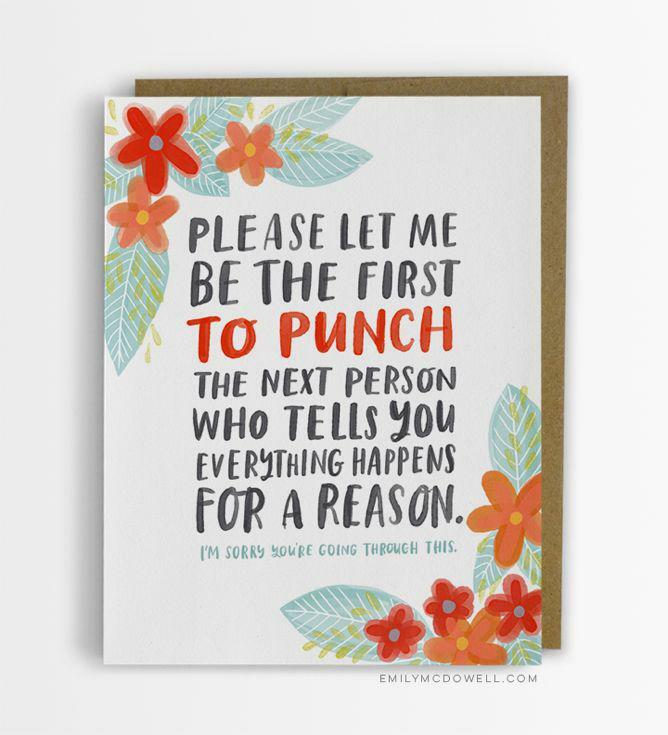 Empathy Cards by Emily McDowell are greeting cards designed for cancer patients by a cancer survivor. 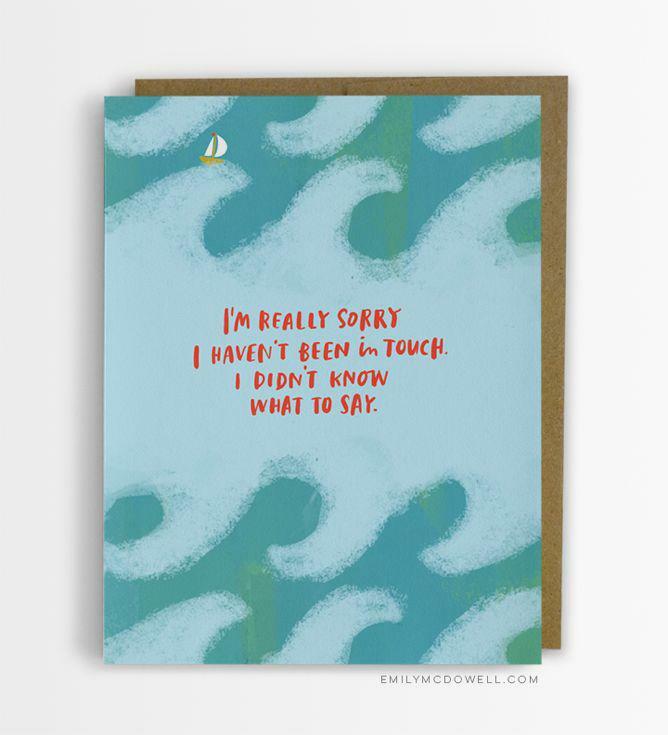 Empathy Cards were inspired by L.A.-based designer Emily McDowell’s experiences as a cancer patient and survivor. 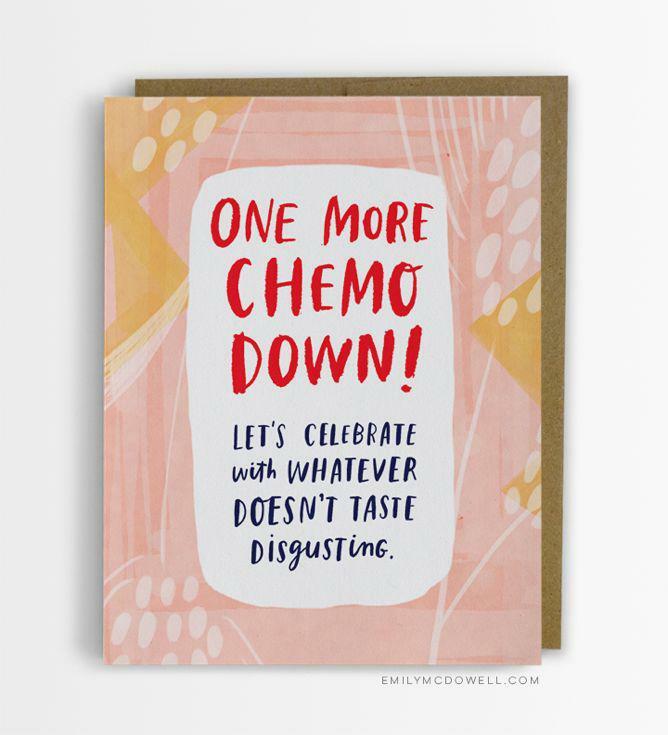 Los Angeles–based designer Emily McDowell was diagnosed with Stage 3 Hodgkin’s lymphoma at age 24, enduring nine months of chemo and radiation before going into remission. 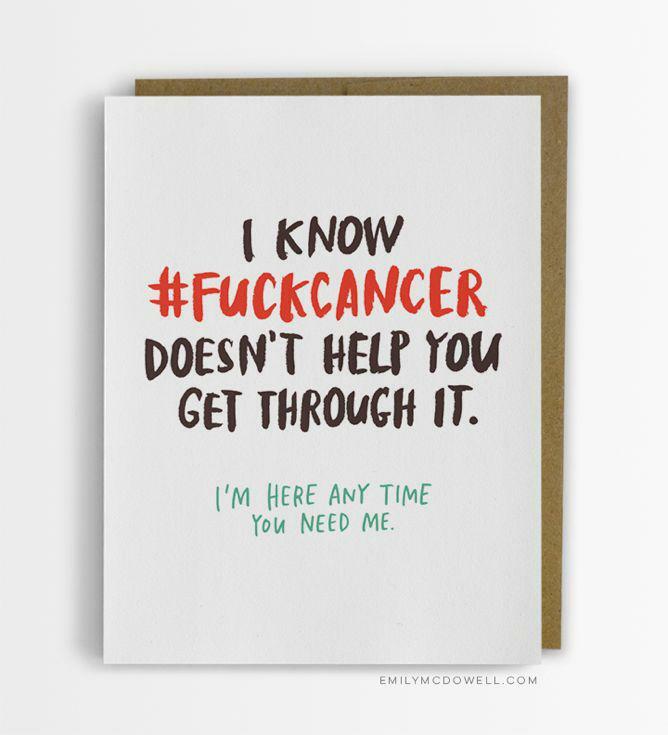 The 38-year-old designer has been cancer-free ever since. 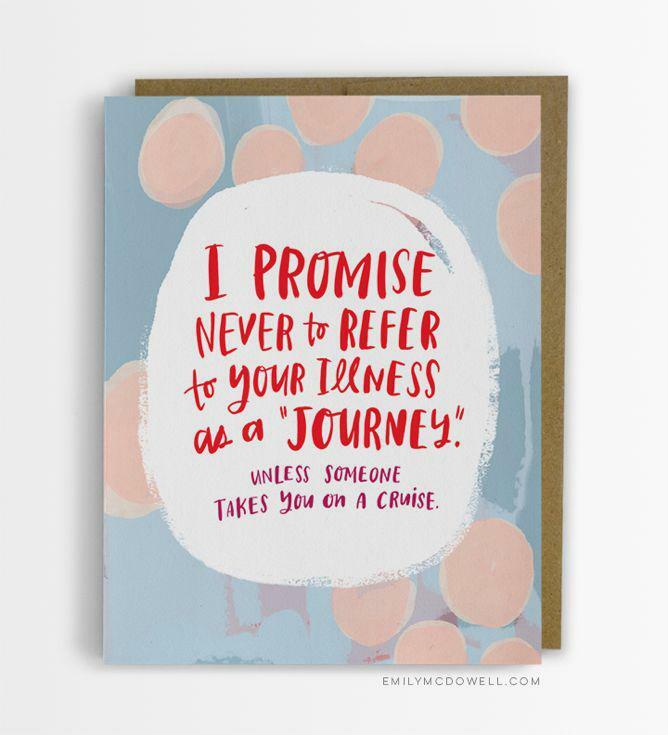 But the emotional impact of the experience lingered, inspiring her to design a newly launched series of Empathy Cards—emotionally direct greeting cards that say the things she wanted to hear when she was ill.
She hopes that the Empathy Cards provide “better, more authentic ways to communicate about sickness and suffering” between patients and friends and loved ones suffering from cancer, chronic illness, mental illness, or other hardships. 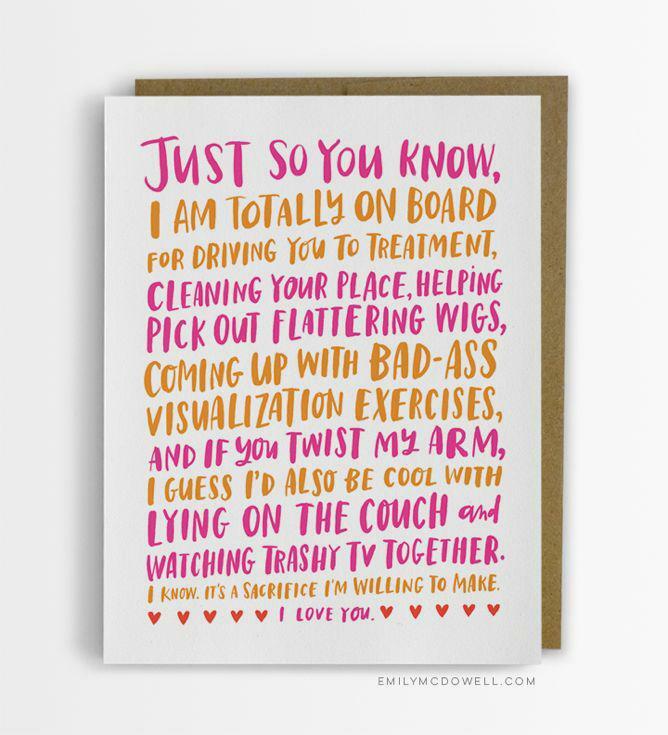 They are by turns earnest and world-weary, and good-humored without false cheer. 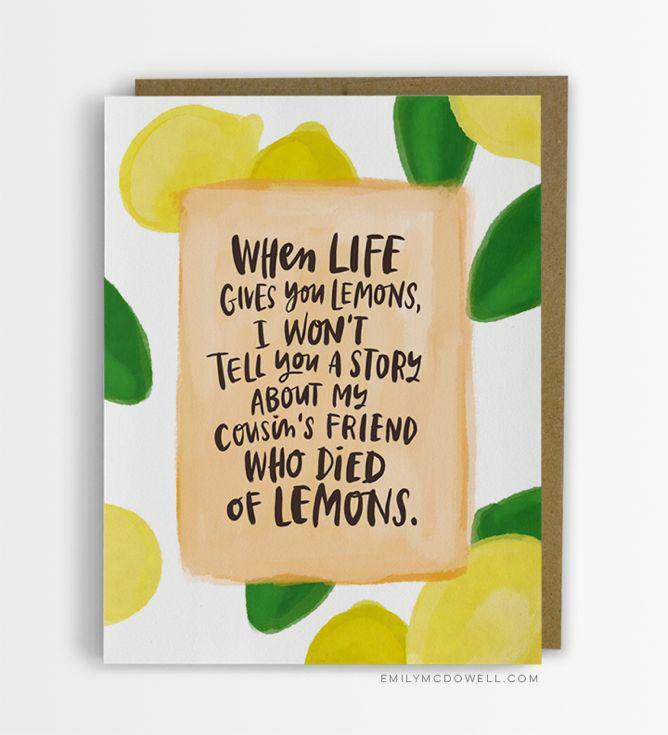 The card designs follow McDowell’s signature style, which leans toward bright colors, minimal imagery, and homey type that she hand-draws in Photoshop with a digital pen. I asked her if she gave any special consideration to colors or images or other design elements given the subject matter. 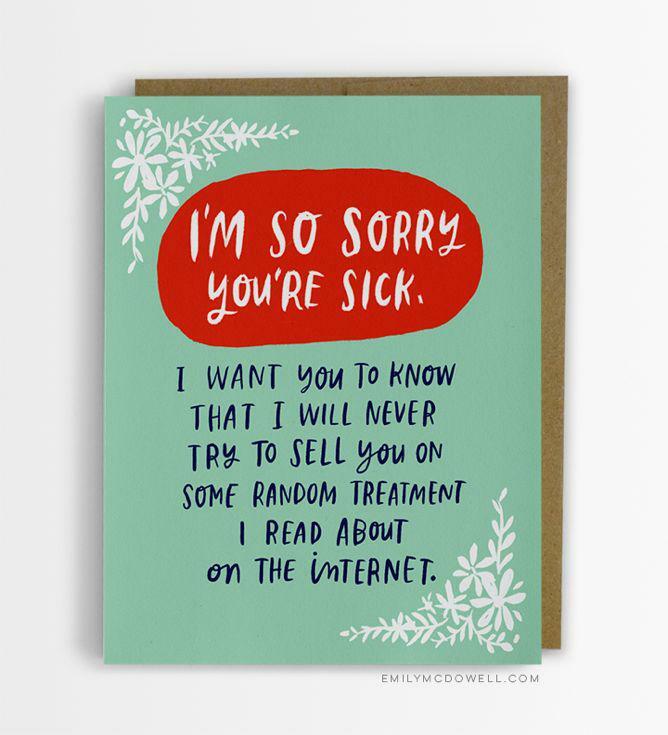 Can a T-Shirt Change the Conversation About Mental Illness?